One of the new features in Adobe Acrobat 9 is the ability to use 256-bit AES encryption when password protecting PDF files (instead of the 128-bit AES encryption that Solid PDF Tools Scan to PDF and Adobe Acrobat 7 and later do). Although this does allow for much longer passwords than before (127 instead of 32), users with passwords less than 32 characters would be much better off using 128-bit AES encryption as the new encryption level makes it much easier than before for hackers to brute force passwords. Fortunately, users of both Adobe Acrobat 9 and Solid Converter PDF to Word can simply keep using 128-bit AES encryption when password protecting files to retain the level of security they've had in the past. Care for more technical details? Check out ZDNet and Adobe's blog posts on the subject. We've launched a free online service for PDF/A-1b validation. Solid Documents is a member of the PDF/A Competence Center, a cooperation between numerous world-leading companies and experts in PDF technology. PDF/A-1b is an ISO Standard for using the PDF format for the long-term archiving of electronic documents. 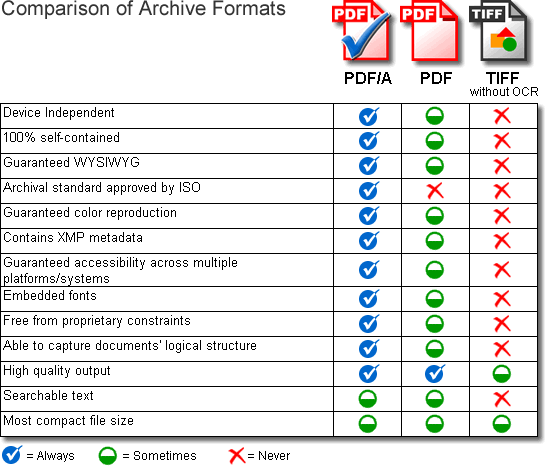 Not all PDF files meet this ISO 19005-1: PDF/A-1b standard. To verify that your PDF files are PDF/A-1b compliant, go to www.validatepdfa.com. Use the simple wizard to send us your PDF files via email. Attach the PDF files you want to validate and send. Our validation software will analyze your files and email you the results. No installation. No hassles. Instant results. Free PDF Validator uses the industry leading PDF/A validator from Solid PDF Tools. You can find out more about Solid PDF Tools here. Solid PDF Creator (The best free PDF creation utility available) is now 100% free. There is no watermark on created files, no nag screen and no expiration date. You don't need to sign up for anything or provide us with your e-mail address. We don't need to know the name of your first dog or where you went to high school. Just download the best free PDF creator and make some great quality PDF files courtesy of Solid Documents. Creating a PDF or PDF/A is as easy as printing. This simple-to-use utility is a quick solution for creating PDF documents from any Windows program including Word, Excel® and PowerPoint. Just open a document and print to the Solid PDF Creator printer driver. You can set PDF permissions, password protect your documents, optimize them for file size or image quality and archive your PDFs as ISO 19005-1 compliant PDF/A-1b files. Solid Documents has participated with PDF/A Competence Center in the process of coming up with a standardized way to test the compliance of PDF/A validators and converters. The aim of the PDF/A Competence Center is to promote the exchange of information and experience in the area of long-term archiving in accordance with ISO 19005: PDF/A. “Since September 2005, PDF / A is a stable, internationally accepted ISO standard for long-term archiving.” Translated from German. 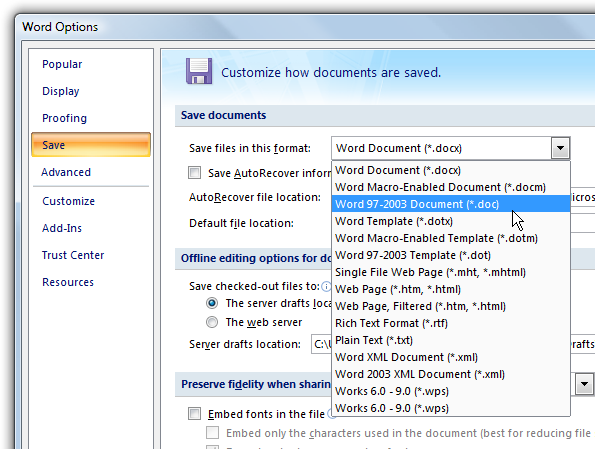 A useful PDF creation feature of Solid Converter PDF to Word v4 is the ability to add watermarks to your PDF documents. You can choose to use existing watermarks included with our software, or create your own custom watermark using text or images. Using the search feature of Solid Converter PDF to Word v4 enables you to search a PDF containing text using keywords or phrases to quickly locate desired pages. Do you have a multipage PDF document and need to locate the pages containing the budget analysis? Or perhaps you need to locate pages containing specific names or reference numbers. With the PDF creation features of Solid Converter PDF to Word v4 you can extract a desired page or range of pages from a PDF document. You can then choose to create a new PDF document with the extracted pages. 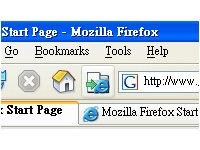 Perhaps you have a multipage PDF document and find only certain pages are needed for your current task. Maybe a range of pages have become outdated and is not longer suited for distribution. Using the PDF page extraction feature you can choose to extract the desired pages from the PDF and create a new PDF document ready for distribution. With the PDF manipulation features of Solid Converter PDF to Word v4 you can rotate a specific page or range of pages in a PDF document. Perhaps you have charts or graphs in the PDF document that are better suited for landscape view. Or maybe you have received the document and a selected group of pages are rotated in the wrong direction. With the table detection feature of Solid Converter PDF to Word you can choose to extract tables from a PDF document to Microsoft Word while preserving the layout, content and style of the table or tables within a PDF document. One of the many powerful features of Solid Converter PDF to Word is the ability to extract tables from a PDF document to Microsoft Excel. Does your PDF document contain tables or data in table form? Do you need data extracted from the tables within the PDF document? You can choose to extract those tables from the entire document or specific pages using the table extraction feature of Solid Converter PDF v4. Using the features of Solid Converter PDF to Word v4 you can rearrange specific pages of a PDF document depending on your needs. Does the PDF contain information on page 33 that should be page 2? Should the last 10 pages be the first 10 pages of the document? If this is the case, simply open the PDF document in Solid Converter PDF v4 and rearrange the pages according to the task at hand. There are many advantages of publishing your content in PDF documents. One distinct advantage is how PDF documents are compact and easy to exchange. They can also be further optimized for distribution. Perhaps you are creating PDF documents for the web. Using the optimization features of Solid Converter PDF to Word v4 can further reduce the file size and boost the display speed, saving bandwidth and workflow. Applying the optimization options of Solid Converter PDF v4 can reduce the documents size for Web or print, while preserving the desired level of quality. Working on a presentation? Perhaps you are in the legal profession and create PDF documents containing sensitive and critical information. With the password protection features of Solid Converter PDF to Word v4 you can protect your PDF file from unauthorized altering or viewing. By assigning a password to a PDF file you can restrict viewing, printing, editing and extraction of the PDF document. Do you have a PDF file that needs editing? Perhaps you have a newsletter that needs updating before the next event. Solid Converter PDF to Word v4 offers timesaving steps when compared to Adobe Acrobat to accomplish a quality conversion needed for your task. This comparison focuses on encrypting and password protecting an existing PDF file using Solid PDF Creator Plus and Adobe Acrobat 8 Professional. Both applications are more than up to the task. However, using the default settings of Adobe Acrobat require that you click through many popup windows to accomplish your goal. This comparison focuses on extracting pages 1-10 and 20-30 from a PDF file and placing it in a new PDF file. Why would you want to do this? You might have a price list or catalog that you want to customize for a customer. Or you might have some documentation that is rather large and you only need to refer to certain sections of it. Whatever your reason you can use both Solid PDF Creator Plus and Adobe Acrobat to accomplish this goal. This comparison focuses on combining two PDF files using either Adobe Acrobat or Solid PDF Creator Plus. The steps below could just as easily apply to combining five or ten PDF files, as the process is the same for both products. This comparison focuses on deleting an individual page from a PDF file using CutePDF Professional and Solid PDF Creator Plus. If you haven't yet read the first post in this series, we recommend that you do so to see how Solid PDF Creator Plus performs. We also have a complete feature comparison of the free version of CutePDF verses Solid PDF Creator and Solid PDF Creator Plus which is well worth reading.